What is the evidence for the safety of vaccines? Vaccines have been extensively trialed for safety i.e. 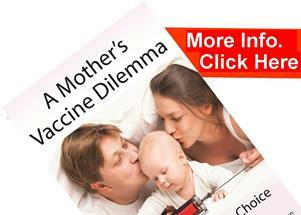 to check if any dangerous side-effects are evident from use of the vaccine. These results are taken from both historical evidence of the extensive use of vaccines and current studies. Because of the long history of vaccination policies we have the benefit of being able to assess the long term impact of vaccines on large percentages of the population, we know that adverse effects occur but they are extremely rare compared to the risks of catching the illnesses that we immunise against. Clearly it is possible to focus attention on the very rare side effects that are sometimes evident from mass immunisation programmes. However we believe that we must not lose sight of the huge benefits of vaccination. Much of our confidence in vaccine safety is derived from historical evidence at a time when we were unaware of the negative side effects that can be produced by vaccines. For example the measles vaccine, as are many other vaccines, has been trialled in developing cuntries, it was introduced in the 1960s but as late as 1975 after many years of vaccine use there were no figures at all of any adverse reactions. Vaccine manufacturers know that it is impossible to have no adverse events given the nature of vaccines and the number of vaccine doses given. R.G.Hendrickse in The Transactions of The Royal Society of Tropical Medicine, as late as 1975 it is stated “No figures of vaccine risk are available from developing countries”, this is not to be confused with no risk, but that no figures of risk are available. Which is an admission of a widespread and complete absence of adverse event monitoring. We simply disregarded much of the side effects like allergies, autoimmune disease, brain and nervous system disorders that we now know can be caused by vaccines. 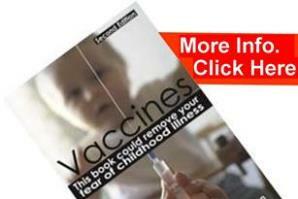 In addition the studies presented by vaccine promoters demonstrating safety do not use real placebo vaccines. A real placebo as used for other drug trials should be a harmless substance, for a vaccine that would be something like plain water as opposed to the placebos used by the vaccine industry which contain all of the potentially poisonous additives but without the inactivated germ. This means vaccine producers are comparing the side effects of a vaccine with the side effects of a virtually identical vaccine that still has nearly all of the potentially harmful substances remaining. These safety studies will always show minimal or no negative impact of the vaccine compared to their false placebo, which will of course have the effect of making the vaccine look safe. In addition, placebo trials conducted by the vaccine industry are carried out on healthy people but very rarely children and sick people. Vaccines however are given to the whole cross section of the population where there is a greater risk of vaccine reactions due to their exposure to more vulnerable people like the elderly, children, people on long term medication and the sick. Therefore the vaccine promoter studies will show always less side effects in their healthy vaccine study groups than that experienced in the real population. Health authorities know that the introduction of a vaccine in a given population is still largely experimental with unknown consequences thereforeit is vitally important that an efficient adverse reaction reporting system is in place to measure the true side effects of the vaccine. The problem is that many studies show that these side effects are grossly under-reported by the medical profession. Many years later we are still neglecting to assess the true negative health impact of mass immunisation programmes although many scientific studies are building a much more accurate picture of the health problems associated with vaccines. Polio vaccine and tetanus vaccines were creating syndromes of paralysis,(Guillain-Barré syndrome) the very symptoms they are supposed to prevent and 30 – 40 years after the widespread introduction of these vaccines, USA National Academy of Sciences report into the side effects of vaccines stated that the evidence of them causing paralysis was a “big surprise”. This is of course evidence of an extremely poor monitoring system and, as reported in New Scientist 25 September 1993, Joanne Hatem, who heads the USA Health Research Council in her comments of the above report states: “The subtext of the report is that the FDA and CDC (the agencies involved in monitoring disease and drug reactions) have done a dismal job in following up and analysing reported reactions”. The justification for accepting a number of vaccine side effects in the vaccinated population is the positive impact of reducing the incidence and severity of the infectious illness. This can only be justified if the risk associated with the illness is greater than the risks associated with the side effects from the vaccine. We have so far highlighted how the risks of the vaccines are being under-reported as a result of bogus placebo trials etc. In addition the risks associated with the illnesses are being exaggerated by vaccine promoters, using historical and global data, which we now know is being misinterpreted to show that illnesses are more dangerous than they actually are.